Today in London marked the final stop on a month-long tour for the EuroCaravana43. 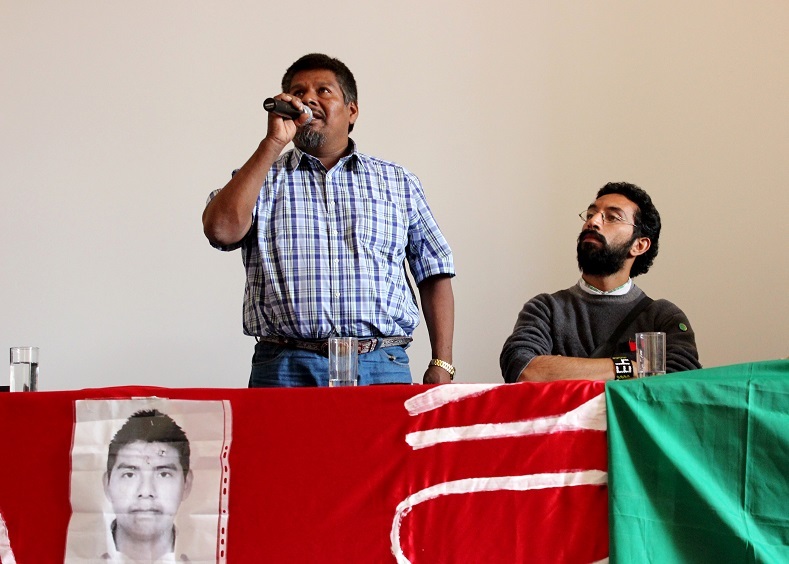 The caravan was composed of Ayotzinapa student Omar García, who survived the brutal police attack in Iguala on 26 September 2014, human rights defender Roman Hernández from NGO Tlachinollan and Eleucadio Ortega, father of one of the 43 missing students. The trio spent the day in meetings with human rights organisations, grassroots collectives and Mexican solidarity groups from across the UK. They were keen to not only share their stories, but to also make lasting connections with local groups struggling against similar forces. Ortega spoke of the hardships the families of the 43 disappeared students have faced, as many have given up work in order to search for their children. He poignantly described how he always encouraged his son to study hard, so that he could avoid living the hard life of a peasant farmer. 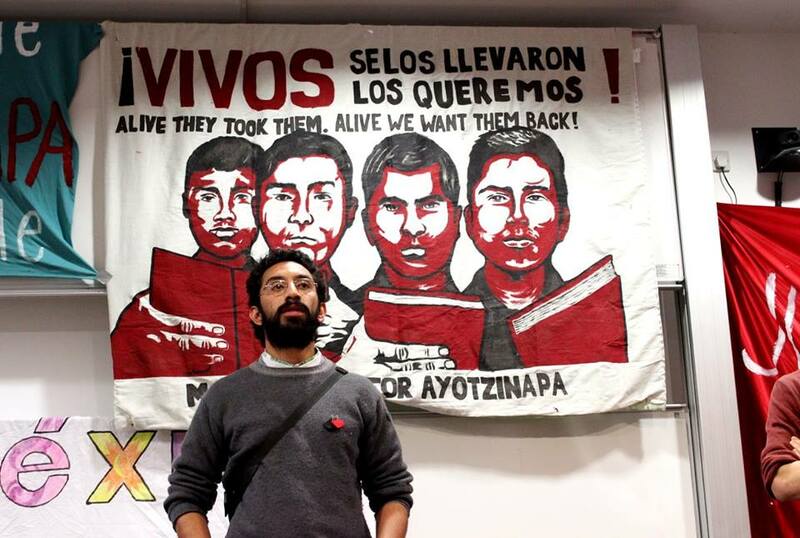 Hernández highlighted the intense surveillance and victimisation human rights defenders in Mexico face from the state. 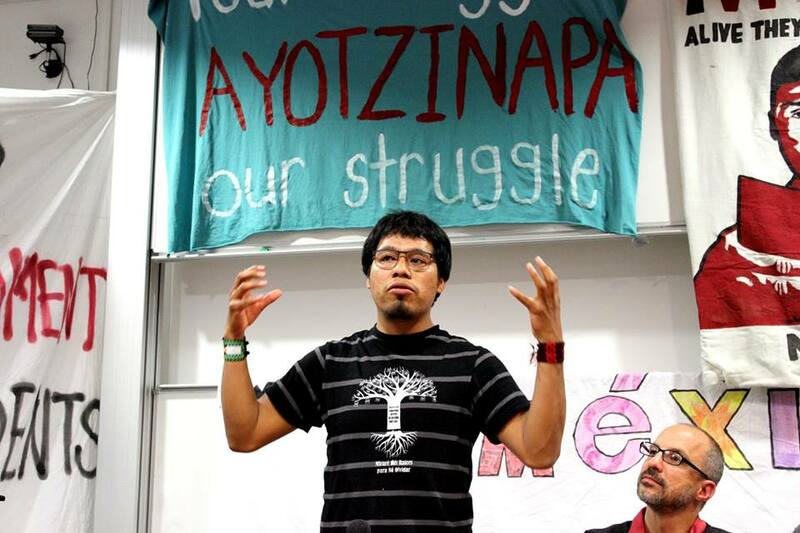 Roman Hernandez from the Guerrero-based Tlachinollan Human Rights Center speaks in front of a packed room of grassroots collectives in London. “We did not come here to cry,” García declared to the gathered crowd. Instead, he countered, they had come to continue the fight and to make connections in this struggle. García called for an inclusive social movement, in which everyone who wants to participate is welcome. He said he has been touched by the number of first-time protesters who have taken to the streets in support of Ayotzinapa. 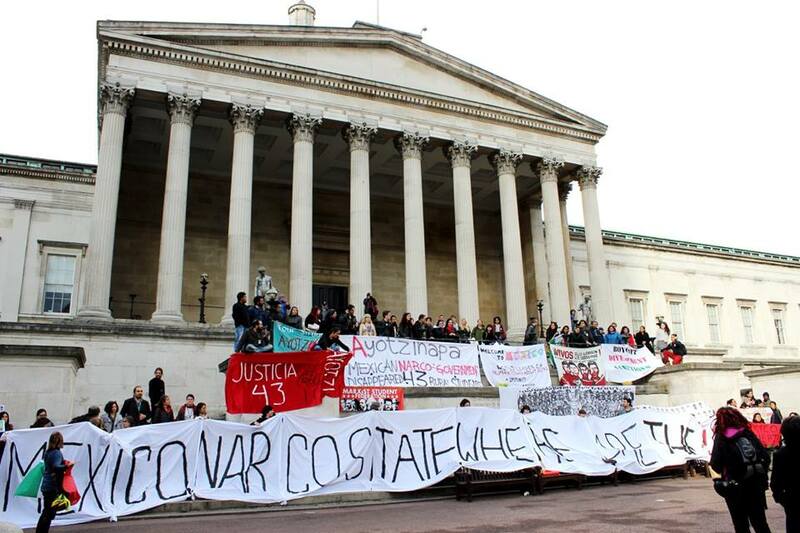 The day culminated in a demonstration in the main square of a central London university.